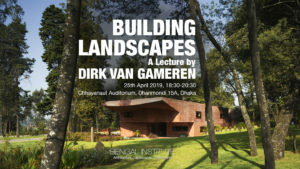 Organised in association with Bengal Institute for Architecture, Landscapes and Settlements by the Swiss Architecture Museum, the exhibition, Bengal Stream: The Vibrant Architecture Scene of Bangladesh, is the first of its kind in which the architecture of the country is being exhibited to an audience in Europe. After opening on the 1st of December, 2017, the exhibition will continue till 6th of May, 2018 at the Swiss Architecture Museum in Basel, Switzerland. 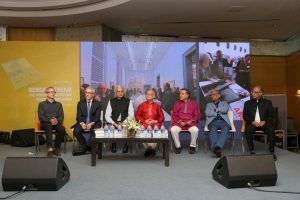 Afterwards, the exhibition is scheduled to travel to other important venues in Germany, France, Italy, England and finally return to Dhaka, tentatively in 2019. 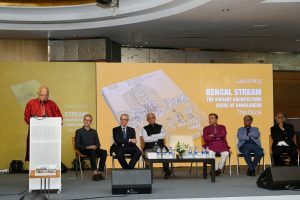 In the exhibition “Bengal Stream,” the Swiss Architecture Museum took the initiative to highlight a body of works that represents the distinct architectural energy of Bangladesh rooted in the spirit and temperament of the region. 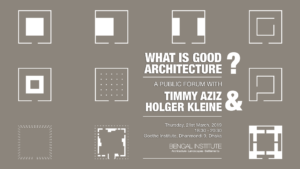 Brilliantly begun with the Bengali master architect Muzharul Islam, and carried through works by some of the most important architects of the twentieth century, like Louis Kahn, Stanley Tigerman and Paul Rudolph, newer generations continue the journey for an invigorating architecture now recognized through important international awards and major publications. 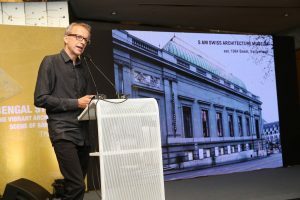 The Swiss architect Niklaus Graber teamed up with the Swiss Architecture Museum to curate the exhibition on exemplary works in architecture. 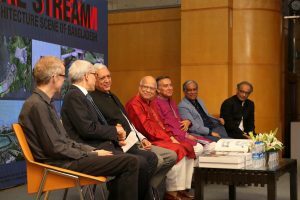 Over 60 projects by important architects of Bangladesh are included in the show that after the opening in December 2017 in Basel, Switzerland, will travel to other important venues in Europe. Preparing for the exhibition involved year long research by the chief curator Niklaus Graber with Iwan Baan commissioned for photographs. 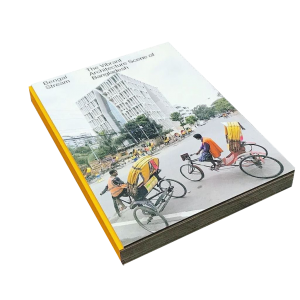 Along with the exhibition, a book of the same title was also released, with photographs by one of the most prominent architecture photographers, Iwan Baan. 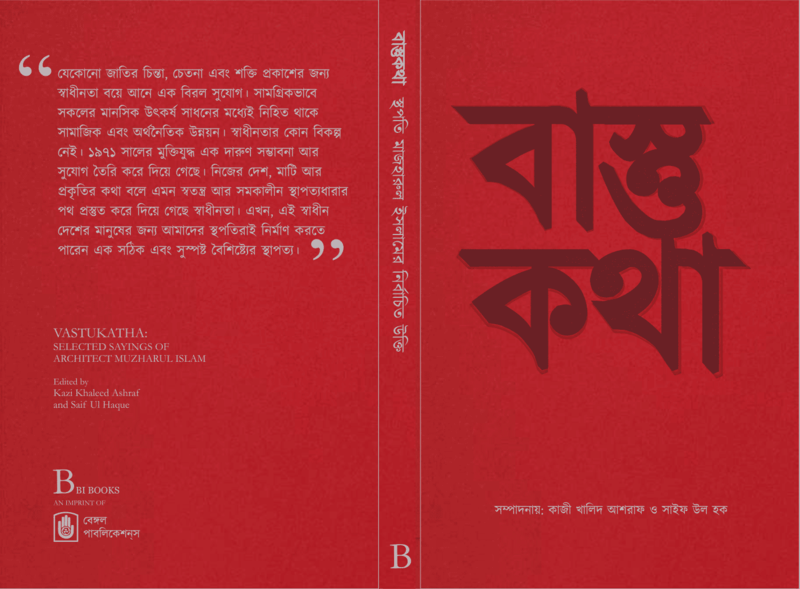 Published by Christoph Merian Verlag, the book also contains original essays by Andreas Ruby, Niklaus Graber, Kazi Khaleed Ashraf, Saif Ul Haque and Syed Manzoorul Islam. The Chairman of Bengal Foundation Mr. Abul Khair started the event by retelling the fascinating story of Bengal Institutes’ conception. 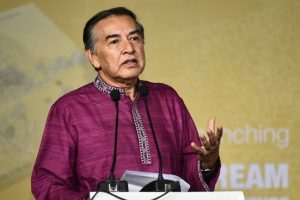 He revealed his vision of the institute and what role it is meant to play in the context of Bangladeshi architecture. 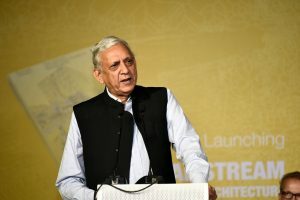 He thanked everyone involved for its early success and affirmed that there is much more to come. 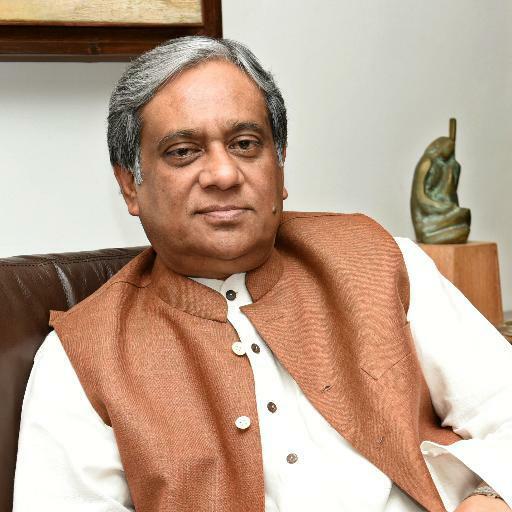 The Director General of Bengal Institute, Professor Kazi Khaleed Ashraf was the next on the podium. 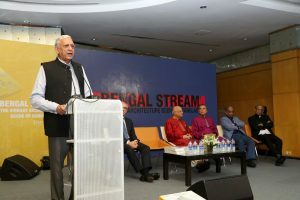 He began by talking about his mentor Muzharul Islam and what can one learn from him while at the same time revealing how the mission of the Institute was shaped. 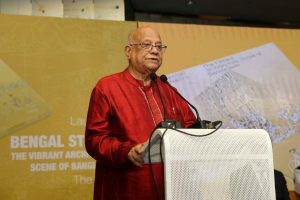 He then chronicled the influence of Bangladeshi architecture on the global stage and what the scope of architecture truly is. 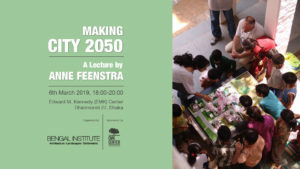 He claimed it was only through interdisciplinary collaboration across fields that the challenges to come in architecture, environment and society can be faced. 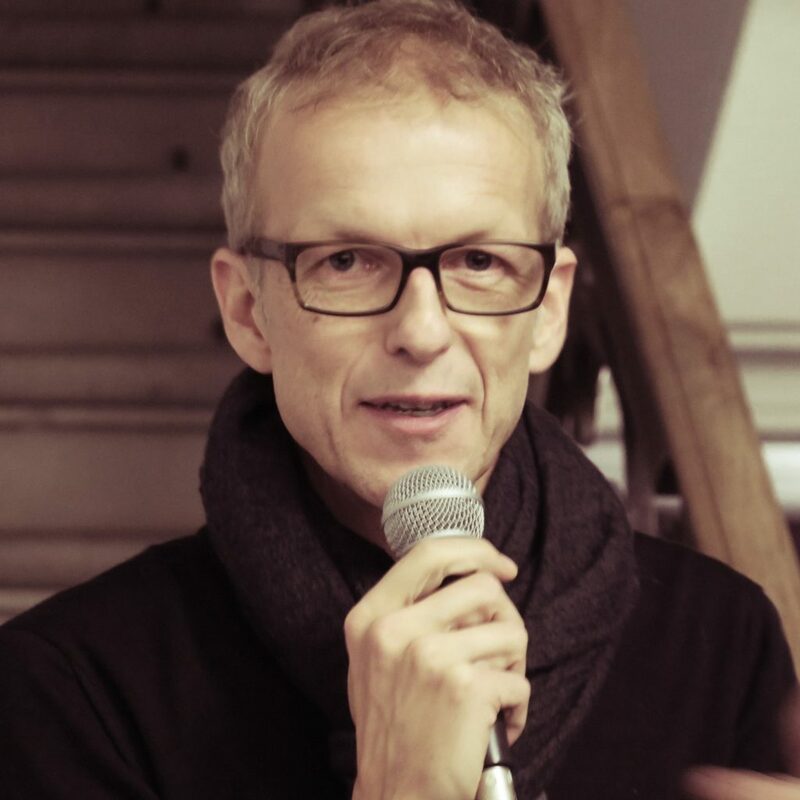 Niklaus Graber elaborated further on the story of Bengal architecture and how the exhibition tried to best portray. 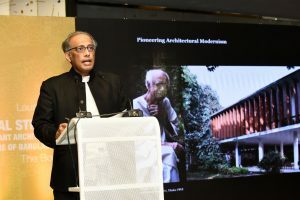 He explained his fascination with Bangladeshi architecture and claimed the global architecture scene had much to learn from it. 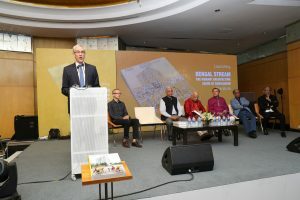 He emphasised the importance of the work done by Chetana in chronicling the history of Bengali architecture and revealed some details about the book. René Holenstein was next on stage and began by pointing out the importance of the exhibition. He said Switzerland was proud to host an exhibition of such significance and encouraged further collaboration. He went on to say ideas transcend borders and congratulated everyone involved on their success. 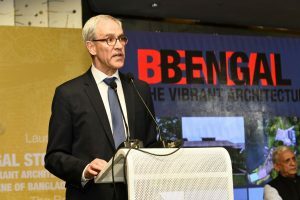 The ambassador was followed by Mahfuz Anam, who began by expressing frustration on the state of Dhaka. He criticised the way the rivers in the country were being treated and claimed they were the lifeblood of the nation. 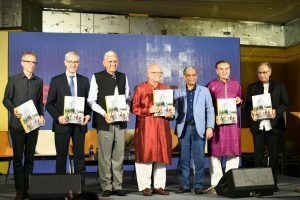 He went to praise aspects of the book while urging everyone to try and understand the heritage of Bangladesh’s architecture and how it can be protected. 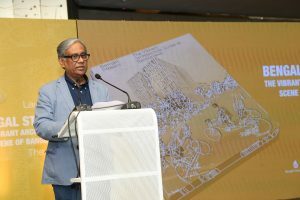 Gowher Rizvi then took centre stage and bestowed mush praise to the efforts of promoting Bangladeshi architecture through the exhibition and the book. 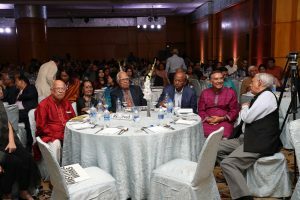 He congratulated everyone involved and expressed great excitement for future the endeavours of Bengal Institute. 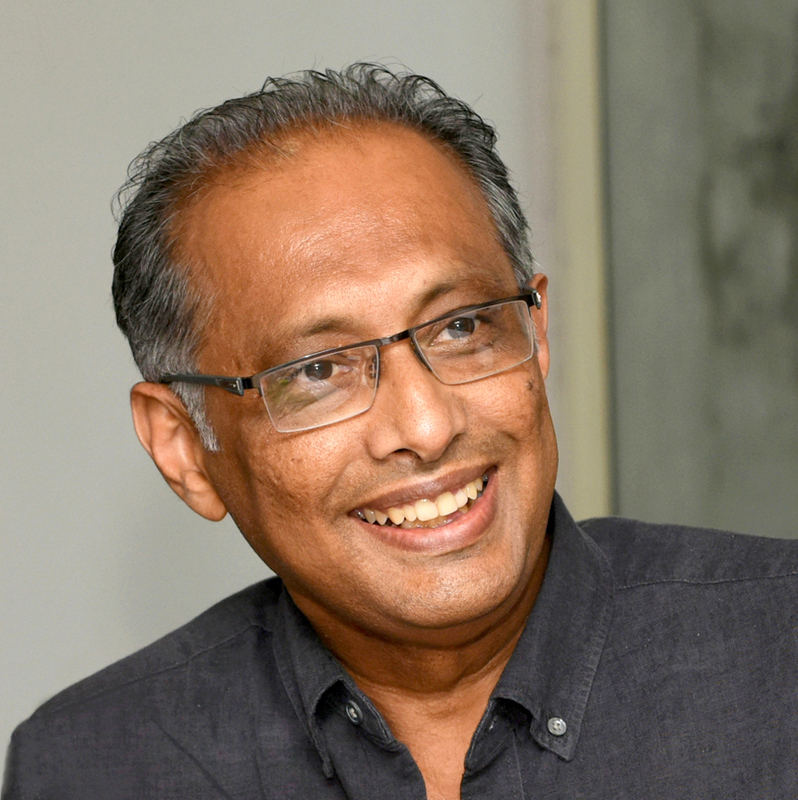 The Chief Guest, Abul Maal Abdul Muhit was the final speaker and by recounting a story that summed up his enthusiasm towards architecture. 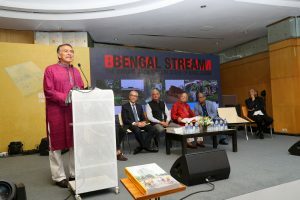 He pointed out the ideals he sees in the work done by Bengal Foundation to stem from that of the Late Abdur Razzaque and claimed this was the reason for its success. 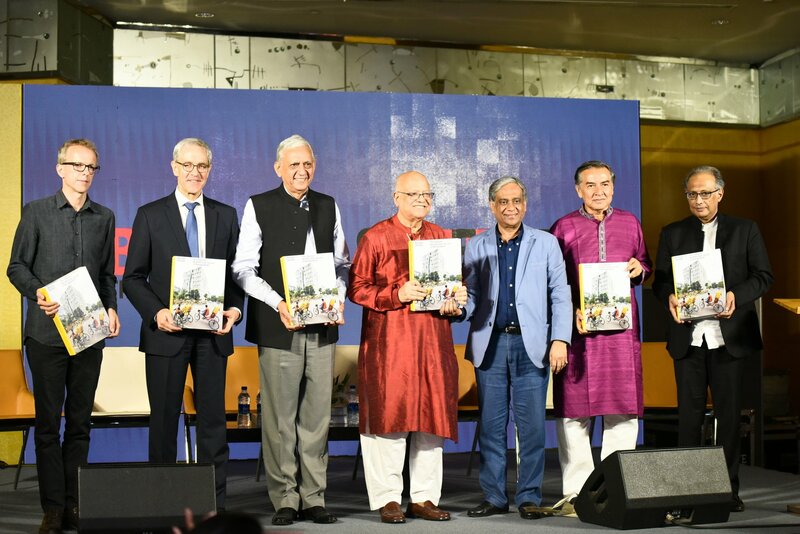 He expressed his support for the success of the book as it not only chronicles the architecture of Bangladesh, but at the same time a part of the history of Bangladesh. The event was followed by dinner and a jazz recital by Imran Ahmed Trio.